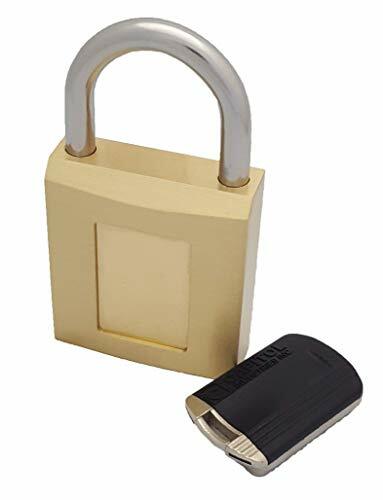 Pick-resistant, Tamper-resistant, Weatherproof Magnetic Padlock. Over 250,000 Magnetic Locking Combinations. Robust design keeps lock mechanism airtight, protecting the lock from water, moisture, or other contaminants, even if left unlocked. Marine Grade stainless steel shackle and brass body make Magnetic Padlock rust-proof in all weather conditions. Absence of keyway makes the padlock pick-resistant, tamper-resistant and vandal-resistant. Easy, 1 handed operation due to magnetic force between lock and key.